Technically, this is the fourth Riddick movies, but whatever, I’m psyched for it. 4th films? Then I am missing one. 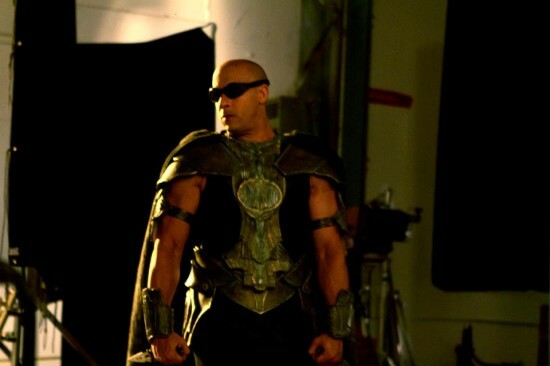 Are you counting “The Chronicles of Riddick: Into Pitch Black” the made for tv movie ? OHHH! I haven’t seen that one. I am totally a fan of these films. Is that one worth seeing ? absolutely, if you remember, in The Chronicles, Riddick and Tombs have a history, and they reference ‘what happened to his last time’, the animated movies is what happened to them. spoiler: they all die. mostly. BTW: Escape from Butcher Bay is possibly the best Movie Inspired Video Game ever. Shanks. Shanks everywhere. . .
Gotta agree, they’re pretty damn fun. “A vicious attack of vengeance”. What does that even mean. Not sure how I feel about this yet… Pitch Black was brilliant. The others were good, not great though.